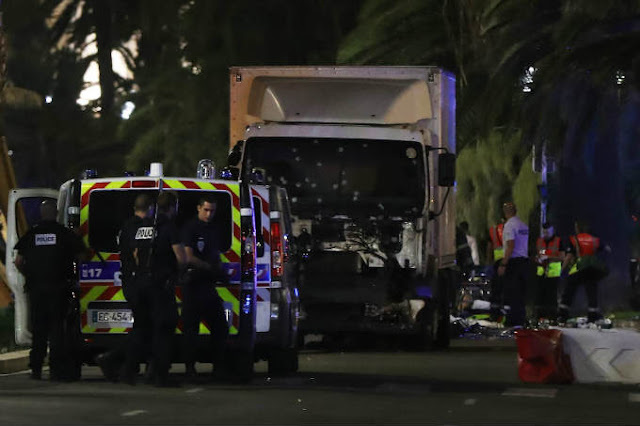 A gunman – perhaps of dual French/Tunisian citizenship – drove a truck into a crowd of people celebrating Bastille Day in Nice, France, on July 14, killing at least 84 people and injuring many more, including children, CNN said, citing the French interior minister. “There were dead bodies everywhere,” a witness told ITV, a British television network. Although early reports said an additional 100 people were injured, BBC says about 50 people were injured, 20 of them critically. The newspaper in Nice, France is confirming that an identity card found in the truck led to the terrorist’s identity, although it hasn’t yet been released, CNN said; that identity card is of the French-Tunisian man with dual citizenship, said SBS media. The death toll increased when the gunman may have alighted from the truck and started shooting, a scene captured in graphic and heartbreaking eyewitness photos and videos on social media. The French president said the victims included several children. He said the driver was shot dead and that authorities are looking to see if there are accomplices. The photos and videos posted on social media show bodies lying in the street and captured scenes of panic after the truck rammed into people for 1.2 miles (warning: very graphic). “France has been struck on the day of her national holiday,” on a day that is the symbol of “liberty,” said President Francois Hollande. “France as a whole is under the threat of Islamist terrorism, and so under these circumstances we have to demonstrate absolute vigilance and show determination that is unfailing.” Hollande said 77 people had died, although Reuters and other media also said there might be up to 80. CNN is reporting the occupant of the truck exchanged gunfire with police. It is not known if anyone else was shot; British media are reporting that there may be two terrorists, however many other accounts quote French officials as saying there was one gunman. UK Express cited French TV channel iTele, saying that the gunman who emerged from the truck had been “holed up in a nice restaurant downtown” but has been “neutralized” (killed) by police. For several hours, authorities were trying to determine if the identity card matched the terrorist who was killed, according to SBS media and other media accounts. The Wall Street Journal has reported that Tunisia, where the terrorist appears to be from or have roots in, is a leading source of ISIS recruits. In French, Estrosi Tweeted, according to NBC: “Dear Nice, the driver of a truck appears to have made dozens of deaths. Stay for the moment to your home. More info to come.” ITV reported that French officials were calling it a terrorist attack and that “there are unconfirmed reports that there are gunmen on the loose in the city.” However, those reports did not materialize and may have been part of the confusion of the scene as panicked people ran from the carnage. Grenades were found in the attack, according to Le Figaro newspaper. Sebastien Humbert, a police official,told ITV.com, “A truck rammed into the crowd over a long distance, which explains this extremely heavy toll.” A man then emerged from the truck and started shooting, said ITV. 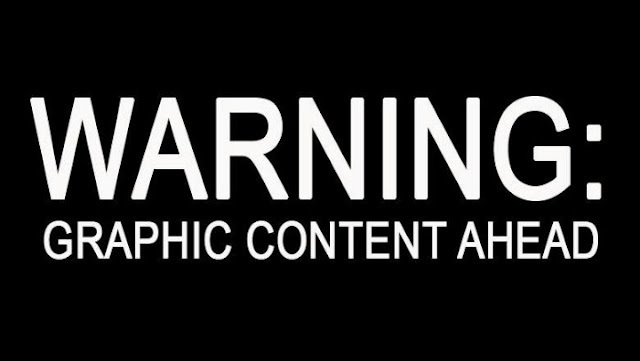 Once of the most disturbing videos shows the aftermath of the attack (again, warning: extremely disturbing video). French television reported that the gunman had been in the truck and ran on foot to a nearby restaurant called Le Buffalo, and an officer then shot him, UK Express said. CNN reported that people in the restaurant rushed outside with white tablecloths to cover the dead and that the driver had accelerated the truck. There was no immediate identification of the people or groups behind the attack, but ISIScreated a hashtagapplauding the attack that it was encouraging people to use, according to Site Intel Group, which monitors jihadists. This post was republished from heavy.com. You can find the original post here.